Spotting a laptop that both offers excellent features at an economic value are rare nowadays. If that is what you think, you could be wrong. Asus just launched a laptop that can compete with Lenovo’s Yoga series and Dell’s XPS. TheAsus Vivobook F510UA FHD laptop is a stylish and sleek laptop that offers a considerable array of notable features. In this article, we will give you the detailed Asus Vivobook F510UA review. This will help you get a full understanding of how this device can be a remarkable machine that can cater to your daily needs. The Asus Vivobook F510UA FHD laptop has an exquisite and sleek appearance. It has a shiny, brushed metal casing. Externally, its design draws closer to the appearance of an Apple MacBook Air. Looking closely at it, you will notice that at its hinge it is thicker and gets slimmer at the front end. The Asus Vivobook F510-UA Full HD laptop is very easy to carry around with its weight at only 3.75 lbs. 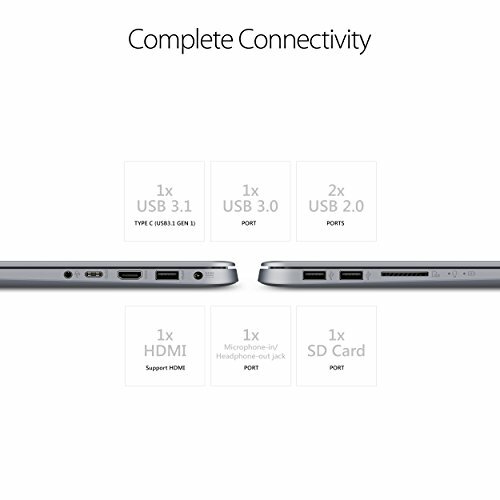 Its keyboard, trackpad, and the location of the ports are the same as the other VivoBook versions. It is considered to be one of the most unique laptops in the market at present. The reason for this is that it is equipped with an ASUS’ NanoEdge bezel. This showcases an ultra-narrow bezel of 0.3 inches which creates an incredible ratio of 80%. With this feature, the Asus Vivobook F510UA FHD laptop can easily offer its users a Full HD viewing opportunity. Designed to be compact, lightweight, and very portable, and at the same time providing a great viewing experiencing, the Asus Vivobook F510UA-AH51 FHD laptop is a remarkable product. The Asus Vivobook F510UA-AH51 specs include an Image Aspect Ratio 16:9 which gives the users a WideView display. It has a vibrant IPS TFT Technology LED display that is embedded on its 15.6-inch screen. 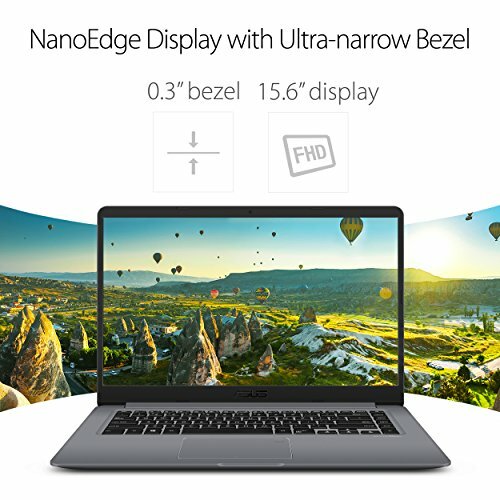 [See 10 Best 15 Inch Laptops Review] When it comes to its screen resolution, this laptop offers a Full High Definition experience with its 1920×1080 pixels. Moreover, this laptop also carries ASUS’ Splendid Visual Optimization Technology. Additionally, it also has display modes that are pre-installed. These include 1. Manual, 2. Eye-Care, 3. Vivid, and 4. Normal mode. The users can easily select any display mode of their choosing. When it comes to hardware, the Asus Vivobook F510UA-AH51 is equipped with a powerful 8th generation processor which is the Intel Core i5 8250u. This is said to be the most advanced and latest Intel Core processor. In addition to that, this processor runs at 1.6 GHz up to an impressive 3.4 GHz for its maximum speed. Core processes such as running applications and multitasking are handled efficiently by its 8 GB DDR4 RAM. Regarding storage, this laptop definitely made sure there is more than enough room for your files. It carries 1TB space of hard drive which can store all your important files as well as movies, music, software, and games. 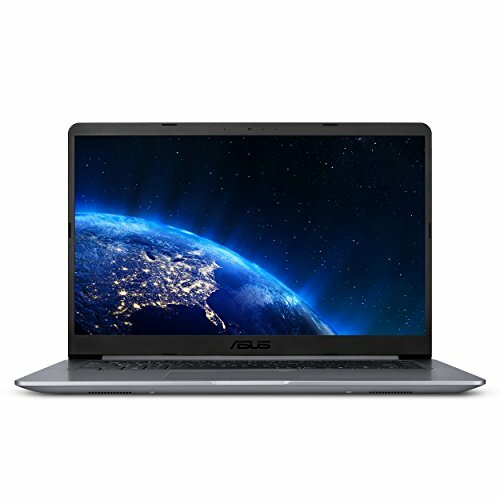 Adding $100 more on top of this version, you can upgrade to a 128 GB SSD + 1TB HDD variant known as Asus VivaBook F510UA-AH55. With this variant of the laptop, Windows 10 is by default installed in SSD Drive and you going to find a 5x faster windows boot and overall performance boost. another port of 3.0 USB. Additionally, it also has an SD card slot, HDMI port, and a 3.5 mm audio jack. For secure file transfers, you can also take advantage of its Bluetooth connectivity. One downside is the absence of an Ethernet port, but this is supplemented by a Wi-Fi 802.11ac technology. One of the most important parts of this Asus Vivobook F510UA laptop review is about its audio and video aspect. Any laptop serves as a multimedia device for any type of user. As for its audio output, this device is equipped with two integrated stereo speakers. Meanwhile, when it comes to videos, this machine can efficiently handle all types of codecs and videos. Additionally, it has the ASUS Tru2Life Video technology which gives the viewers an enhanced visual experience. This is complemented by its 15.6 inches Full HD display. As for the Asus Vivobook F510UA battery life, we can say that it performed well enough for a budget laptop compared to others. One full charge can last around 5 to 6 hours of uninterrupted usage. The best part is that it only takes 2 hours to recharge it back to its full capacity. For an everyday laptop, its Li-Ion type battery performs well enough. This is also considering that the device is powered by an 8th gen Intel Core chipset. Another important thing that a laptop should have is an active cooling system. This laptop is equipped with a smart fan to keep things cool for efficient performance all the time. The fan blows the heat out as the heat pipes are structured wisely to keep the temperature low. This process maintains the machine’s temperature under 35 degrees Celsius. Both the keyboard and touchpad have a comfortable feel to it. The keyboard of this laptop has letter and number keys that are good-sized. Both the “Enter” and “Backspace” keys are large enough to be seen and easy to hit. However, not the same can be said for the “Shift” key. Another downside with the keyboard is that it is not backlit. When it comes to the touchpad, it is also a good enough size. A notable bonus for this device is its Fingerprint sensor which serves as an additional security barrier. As for its webcam, you can expect the same performance as with other budget laptops. It has a front-facing camera which is a VGA. Under daylight conditions, it is able to capture images that are good enough but not exceptional. However, its webcam is quick enough to capture swift movements while in a video call. The Asus Vivobook F510UA FHD laptop has pre-installed software which is a Windows 10 variant. Since this operating system is widely used, it offers a nag-free, fast, and efficient operation. The Asus Vivobook F510UA FHD laptop is also integrated with UHD 620 graphics. This feature is standard with midrange laptops, but one downside is that it is not suitable for 3D gaming. This machine may be known as a gaming laptop, but it has its limitations. The Asus Vivobook F510UA gaming laptop can run games smoothly under low to medium settings and low resolution. Equipped with the most advanced, latest, and powerful chipset which is the 8th generation Intel Quad Core i5 8250u, the Asus VivoBook F510UA FHD laptop definitely promises an overall outstanding performance for every use. The integration of UHD Graphics 620 and its 8 GB DDR4 RAM makes it efficient, reliable, and fast. In addition to that, it also has a Quad-Core processor that runs 1.6 GHz up to a maximum speed of 3.4 GHz. This ensures an uninterrupted operation that runs smoothly and without any glitches. Furthermore, it is generously has a 1TB hard drive that can accommodate all of your essential files. Not to mention it remarkable offers when it comes to your viewing experience. This laptop is equipped with 1920×1080 pixels for FULL HD visuals. Additionally, it also has Splendid Visual Optimization Technology, as well as the ASUS Tru2Life Video technology. All these paired with incorporated stereo speakers, and you end up with an efficient multimedia device. To top it all of, this laptop allows you continuous usage for around 5 to 6 hours because of its remarkable battery. This just goes to show that you can use this device of your everyday needs. In summary, it is clear that the Asus Vivobook F510UA FHD laptop wins over its competitors. With its notable features and remarkable offers, it definitely stands out from the rest. In addition to that, it did not only include outstanding features and functions; it is also compact, elegant looking, and very easy to carry around. The Asus Vivobook F510UA FHD laptop is a device with notable features and remarkable offers. It is the ideal device that fits a tight budget without compromising any features or functionalities. This laptop can satisfy a variety of needs, from everyday use to gaming and other activities. It does not only include outstanding features and functions; the compact, elegant look, the powerful i5 Intel Core processor, the spacious 1 TB of hard drive, and full HD viewing experience makes it stand out from the rest.